Looking for a fun dish that will wow your guests with flavour and presentation? Try dishing out macaroni and cheese featuring our special white sauce mix in charcoal cones. This is a first impression that will go a long way. On pot of boiling water, add in olive oil and Chicken Seasoning Powder. Strain off and spread in over flat tray and cool off in chiller. Heat up milk in pot to 75°C, add in White Sauce Mix and whisk well. Simmer till sauce thickens up, fold in cheddar cheese and black peppercorn. 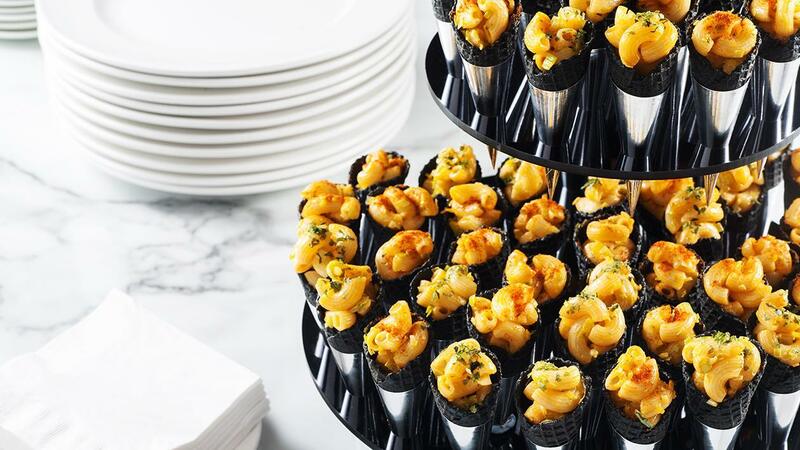 Mix macaroni with cheese sauce, fill it in charcoal cones, garnish with fine cress.